We’d like to introduce you to six inspiring girls (some now grown into amazing women) who have endured adversity and whose stories will challenge you to live your best life. Grace was born with missing limbs, but she lives without limits! “When I was born, my family and relatives thought I was a curse. They tried to convince my mother to stop breastfeeding me so that I would die of hunger,” she says. Grace’s relatives demanded she be killed as a baby, but her parents refused: they considered her a gift from God. After her father was killed working as a security guard, Grace’s mother fled to Uganda, where Grace became part of Compassion’s Child Sponsorship Program. Today, Grace is a confident and joyful young woman of God, despite her difficult childhood. “I have three things I want to tell people. One: You are not a mistake. You were created by God and you have a purpose. Two: That purpose has a significant place on this earth. You have a contribution to make. Three: Regardless of how others see you, your worth and value comes from God. This year, Ratna almost became part of the 22 per cent of girls in Bangladesh who are married by age 15—until she bravely spoke up for herself. It’s a date Ratna will remember forever. On 22 March, her mother informed her that by nightfall she would be married. In rural Bangladesh, a betrothed 15 year old is all too common. Bangladesh has the fourth-highest rate of child marriage in the world. For families living in poverty, offering a child in exchange for a dowry can seem like the only solution to secure financial security. Ratna was facing an incredibly unpromising future. Compassion staff were determined to stop it. The director of her child development centre met with Ratna’s parents, encouraging them to understand the dire consequences of early marriage. Still, they remained unmoved. Joining forces with an anti-child marriage advocate and lawyer named Shahnaz, the Compassion staff managed to persuade Ratna’s parents it was not in her best interest to get married at such a young age. Ratna was overjoyed. She had spoken out and stopped her wedding! Today, Ratna is a symbol of hope for young girls around the world who face marriage far too early. Although illegal, one quarter of women have undergone female genital mutilation (FGM) in Kenya. Synthia, a 17-year-old from a village near the shores of Lake Victoria, Kenya, remembers how undergoing FGM changed one of her friends. You might not think Synthia—the daughter of uneducated parents living in extreme poverty—could do anything to stop this deeply ingrained cultural practice. But don’t tell Synthia or her friends that. With four of her friends, she developed an app that allows girls in a crisis to alert authorities by clicking a distress button on their cell phone. The app also provides girls who have undergone FGM with resources, including directions to the closest resource centre. After developing the app, the girls applied and were selected as finalists in the 2017 Technovation challenge, a global competition sponsored by Google. The team won second place—and $10,000 USD to develop the app for use in their community. Their next step is to develop a business plan for how they will use the funds to make the app available. Thanks to sponsorship, Synthia is in school. She also learned computers at her Compassion centre, which helped her develop an interest in the field. Now Synthia aspires to become a computer scientist—and a role model to other girls who will learn that they can use their unique skills to help solve the problems they face. Gabriela is training to be an aircraft engineer—and loving it! “I was in ninth grade when I became a candidate for one of three aircraft mechanic scholarships. Many of my classmates applied, but in the end only two other boys and I got them. Initially even my own family discouraged me. My mum’s reaction was, ‘This is a job for boys, not for girls.' Yet, it’s been two years since I won this scholarship, and I am discovering so much about my future and myself. At the end of this three-year scholarship, the company that provide the scholarship have promised to hire me as an aircraft mechanic. Since the scholarship only includes the registration and monthly fees, I knew that I needed extra money for other expenses. Many of these expenses are paid for by the [Compassion] project and my sponsor, including my books. Twenty-four years ago, Christine Uwase’s life changed forever. At the age of four, she witnessed her mother’s death; a bullet shot through the back of her head. “The last memory I have of my mother is watching her be shot dead before my eyes as she pleaded for both her life and mine to be spared. I was only four years old and didn’t know the implications of her dying prematurely,” says Christine. Christine was tortured, and her father murdered. Life became increasingly difficult for the four-year-old and her carers, who focused each day on survival. But then one day, everything changed: hope found Christine. She was registered in the Child Sponsorship Program with her local Compassion centre at the age of five. She began receiving an education, meals and other basic supplies, which she could share with her family. The Compassion project became a safe refuge where she could be assured of joy. Her eyes opened to her purpose in life, Christine had a passion to make a difference in her community, especially at government level. 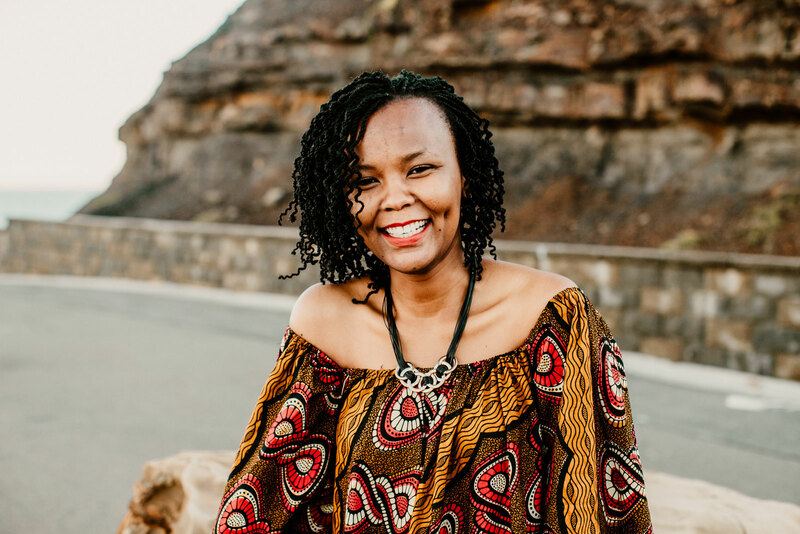 She worked hard at her education and was eventually given the opportunity to study political science at the National University of Rwanda. Now aged 28, she is using her voice and influence to ensure what she experienced does not happen to others. She has worked with the Rwandan Government and is currently a child protection officer. 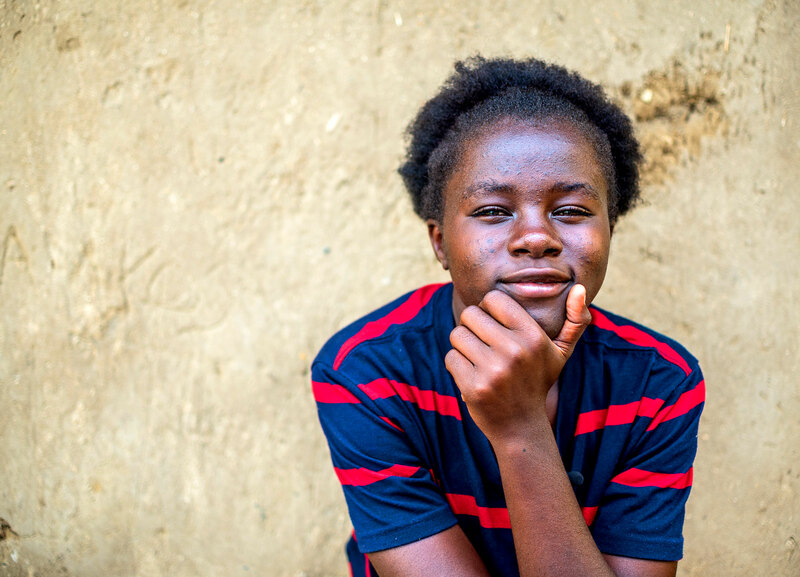 Sixteen-year-old Talash wants to become a teacher and dreams of a day when girls have equal access to education. 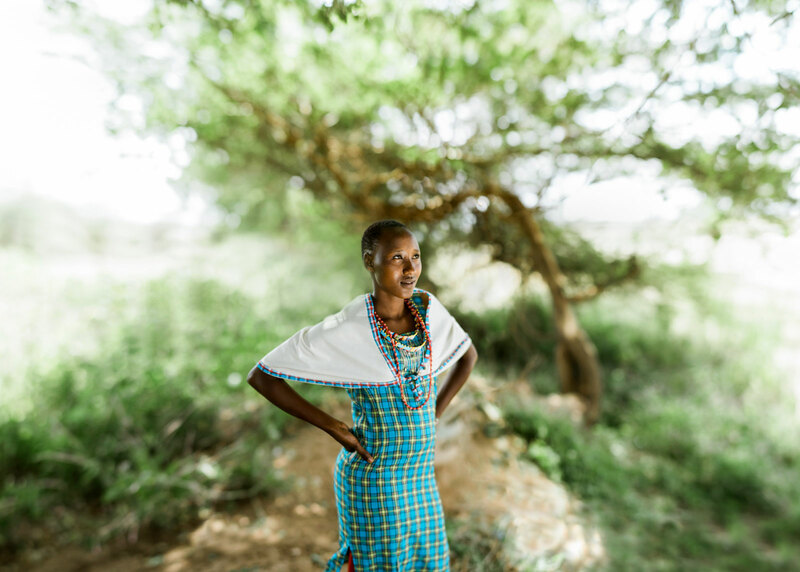 In her Kenyan community, many girls are not given the chance to study. Talash was given an opportunity to shine because the door to a good education was unlocked for her through her sponsorship. “For me to have purpose means to set a goal and work hard towards achieving that goal. I have seen that if a girl is strong she can be a good role model,” says Talash. Empower a girl today and give her a hope more powerful than poverty by sponsoring a child.